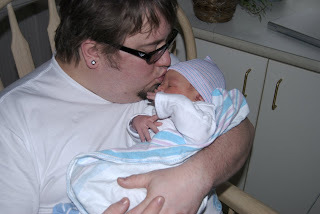 Here is my favorite picture of my husband with our first and only child! We hadn't slept in over 36 hours and we were exhausted. My husband never looked so perfect to me as he did in this very moment!